‘Tis the season for tossing logs into the fireplace or cranking up the furnace. While winter hasn’t officially arrived, it’s close! Heating your home during the winter months can be costly. One of the most relied upon systems in your home is your furnace. Sadly enough, it may also may be the most neglected system. It’s often tucked in a closet or in your basement. Even when you flip the switch to turn it on, you may not think about it. Investing in smart technology and avoiding common heating mistakes can be beneficial for you, your family, and your wallet. Growing up, my parent’s home had a basic thermostat. Other than setting the temperature, it was either on or off. In my current home, I have a programmable thermostat that allows me to create a schedule based on the needs of my family. The problem with this type of thermostat is, it can be difficult to program. 4. Collect, analyze, and present data to you about heating and cooling costs. To learn more about the Nest thermostat click here. 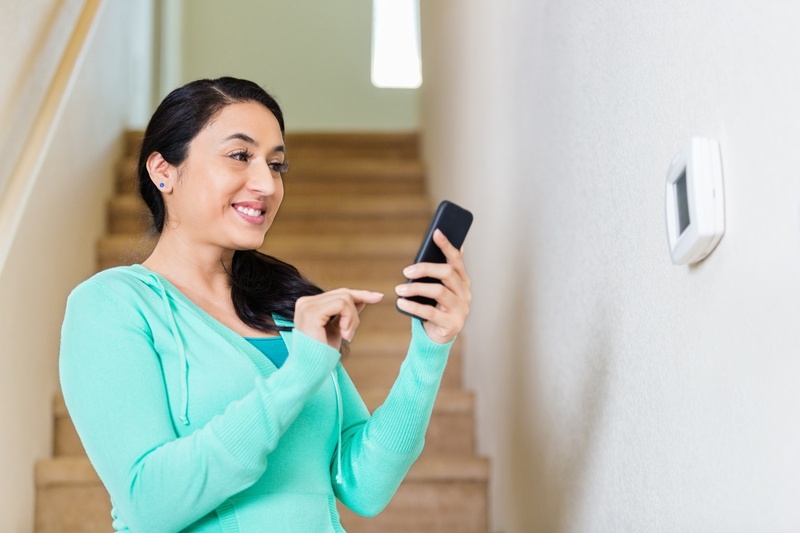 Installing a smart thermostat is one way to improve your home’s efficiency. By avoiding these common heating mistakes, you can improve its efficiency even more. 1. Cranking up your thermostat. Unlike your car, cranking up the temperature on your thermostat doesn’t heat your home faster. Turning up the temperature and forgetting about it will cause your furnace to work harder longer. In the end, this equates to a higher utility bill. 2. Setting your thermostat too low. I’ve read some articles that indicate turning your heat down seven to ten degrees for up to eight hours can save you as much as 10% a year on your utility bills. Following this approach can be drastic and cause your furnace to work even harder when trying to get your home back up to a comfortable temperature. My recommendation is to make small adjustments. This way, you can see how you, your family, and furnace respond. If you like it cool, never set your temperature below 55 degrees Fahrenheit. Doing this can lead to frozen pipes, headaches, and significant expense. d. Keep your home and ductwork cleaner. To learn more about selecting and installing a furnace filter, click here. 4. Avoiding yearly furnace maintenance. Every year, when severe cold weather strikes, we hear on the news about repair backlogs. Tuning up your furnace now can uncover small problems and improve overall efficiency. 5. Forgetting to lock your windows. Locking your windows during the winter months creates a tight seal that keeps the cold air out. For extremely drafty windows, consider caulking, weather stripping, or installing plastic over them. 6. Forgetting to turn off your exhaust fans. My daughters always forget to turn off our exhaust fans after they shower. My wife and I are constantly reminding them to turn them off. During the winter months, this becomes more of an issue. Running them longer than needed sends the warm air right out. 7. Closing vents and doors. I remember my grandma always closing her doors to avoid heating unoccupied rooms in her home. Your best bet is to keep vents and doors open. This allows warm air to circulate through your home, which helps maintain a consistent temperature. 8. Blocking the sunlight. Sunny days can be scarce during the winter months. Precipitation and warmer temperatures can bring more clouds. However, when that nice sunny day arrives, make sure your curtains or blinds are open, especially if your home as southern exposure. To learn more, contact your independent West Bend agent or find an agent near you by visiting www.thesilverlining.com.